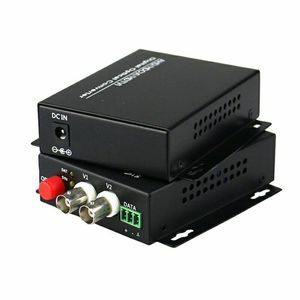 Product Name 3G-SDI to optical fiber video converter transmitter convert SDI signal into optical fiber Main Features &laquo; 1-ch unidirectional HD-SDI video with 1-ch embedded audio over one fiber &laquo; Range from 19.4Mb/s to 1.485Gb/s &laquo; SMPTE 292M (1.485Gb/s) clock recovery &laquo; Support all SMPTE 295M standard, 143Mb/s - 360Mb/s &laquo; Support SMPTE 305M (SDTi), SMPTE 310M (19.4Mb/s), SMPTE 344M (540Mb/s) , M2S and DVB-ASI (270Mb/s) standard &laquo; Output wavelength 1310nm , 1550nm and 16 types of CWDM (ITU-T G. 694.2 compliant) &laquo; 150m automatic cable equalization, all the 1.485 Gb/s rate below ( Belden 1694A ) &laquo; Optional network management system &laquo; LED status indicators monitor the critical parameters &laquo; Optional network system Specification Serial TV BNC Input/Output Input channel 1 Output channel 1 TV signal standard SMPTE 292M, 259M, 297M, 305M, 310M, M2S, DVB-ASI, DVB-SSI and other rate (19.4Mb/s - 1.485Gb/s) Reflection loss &gt;15DB Equilibrium 0-150m 1.485Gb/s Connector 75&Omega; BNC Signal level 800mV nominal Rise/fall time 200Ps nominal Overshoot &lt;10% amplitude Reflection loss &gt; 15dB Jitter &lt; 0.2UI Connector 75&Omega; BNC Audio Channel 1 (unidirectional or bi-directional) Connector Terminal Block with Screw Clamps Data Channel 1 Data format RS232,RS-485, RS422 (full/half duplex) and support NRZ, RZI and Manchester Optic Channel 1 Type Single-mode/fiber (multimode optional) Wavelength 1310nm /1550nm Reflection loss &gt; 15dB Connector FC/PC(ST/PC optional) Power and environmental indicator EMI/RFI FCC Part 15 Class A, EU EMC standard Average time trouble-free &gt;100000 hours Dimension 228X180X30mm Weight 2Kg Operating temperature -40&#8451;~+50&#8451; Application &laquo; Remote OB Van/Truck Video Feeds &laquo; Broadcast Studio Camera Feeds &laquo; Long-haul Signal Transport &laquo; TV station/video conference &laquo; Lecture Hall Projector Connectivity &laquo; Medical/Surgical Room Broadcast &laquo; Building to Building video conference calling &laquo; Small corporate campus video links Related Products DVI Fiber Optic Extender HDMI Fiber Optic Extender SDI Fiber Optic Extender AES Fiber Optic Extender 150M HDMI AOC Cable SDI Optical Transceiver Factory Contact Beijing Hcstcom Co., Ltd. Address: Shangdi International Pioneer Park, Haidian District, Beijing, PR China Tel: +86-10-62923466 Mob:+86 15910952802 Skype:yxbcomeon Email: justin @ Web: www. 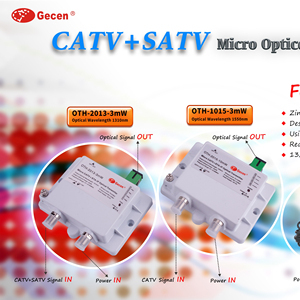 9dB HD-SDI Video Analog Digital TV Signal RF Wireless CATV Laser 1550nm Fiber Optical Transmitter and Receiver FTTH Network What Details of 1550nm Directly Modulated Optica Transmitter9 ZTX1550S series 1550nm optical transmitter is a standard type of CATV optical transmitter. 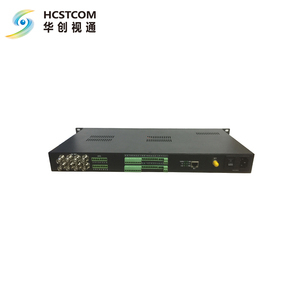 (2) Reliability: The 19 "1U standard rack, built-in high-performance switching power supply, it can work at 85~265Vac MS level automatic switch, chassis cooling can be automatic control by temperature. (3) Intuition: Laser is the most expensive machine components, machine equipped with microprocessor monitors the working state of the laser, the panel LCD window displays the operating parameters. Shenzhen Sheng Tai Heng An Technology Co., Ltd.
3. Bulk orders can deliver a certain number of wearing parts, such as power supplies, modules, etc. 4. The damaged products : during warranty period, we can provide parts to replace or repair for free. Bulk orders if had provided a certain percentage of free maintenance parts, no warranty. GLB3300M is a modular satellite RF fiber link, transmitting L-Band single RF from LNB over single fiber while powering LNB at either 13V or 18V DC from the RF port. With built-in 1310nm uncooled DFB laser high linearity photodiode and low noise RF gain control circuit, GLB3300M can deliver high quality satellite RF to a few fiber optic receivers directly. is a leading fiber optic transmission equipment manufacturer in China for HD Video, High Speed Internet and Broadband RF. 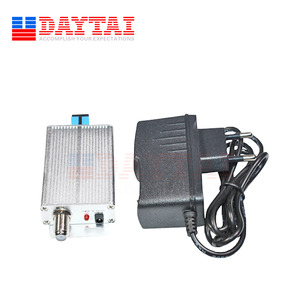 Laser working temperature ATC and power APC function are controled by microprocessor automatically. 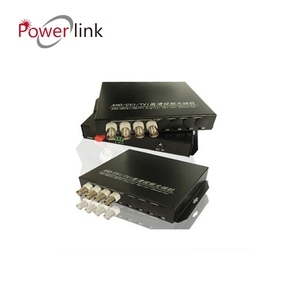 It make sure the best working performance and precise output power,extend the service life. Front panel display key working parameters like optical power output,temperature of laser,power status and laser bias current. 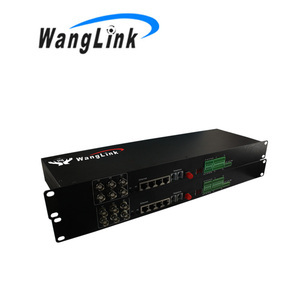 10/100/1000M Ethernet fiber optic media convertor Digital Fiber Optic Transmitter and Receiver Specification Fiber Features:( the fiber optic connectors usually is SC, can order ST or FC) Type TX wavelength (nm) TX power Distance Km Lose dBm/Km Allowable loss dBm Fiber type Multi-mode 850 -19.5~-16 0~2 3 12 850nm (Multi-mode) 1310 -19.5~-16 0-3 1 12 1310nm (Multi-mode) Single-mode 1310 -12~-7 0~20 0.5 16 Single-mode(9/125um) 1310 -8~-5 0~40 0.5 20 Single-mode(9/125um) 1310 -6~-2 0~60 0.25 25 Single-mode(9/125um) 1550 -5~0 0~100 0.25 26 Single-mode(9/125um) Features - provide four routes-speed Ethernet 10/100 M pathway - Ethernet 10 Base-T or 100 Base-TX to 100Base-FX fiber media converters - support IEEE 802.3, IEEE 802.3U, IEEE 802.3X, IEEE 802.1d - Ethernet support, I rate since consultations with duplex mode, parallel / crossover line adaptive function or compulsory mode - support 10 Mbps and 100 Mbps automatically adapt to (work full-duplex bandwidth of 200 Mbps) - provide remote diagnosis of link loss, I, I-Link and Link connecting diagnostic, dynamic data transmission, full-duplex / half-duplex, the rate indicator - support long frame transmission, and expansion of the various agreements is fully compatible with data frames transmitted - dual 10/100 Ethernet access, fully physical isolation. The same path of the two optical fiber transmission line network - support optical path interruption transfer function, can be transmitted to the interruption-alarm equipment - offer dual / single fiber transmission, and different wavelength LED optical power, and other interface configuration - veteran of the status indicators, can be easily and accurately understand the interface, link the work of state -comprehensive after-sales service to provide three years of quality assurance and maintenance services for life Environmental Operating Temperature: 0 &deg;C~+70 &deg;C Storage Temperature: -45 &deg;C~+95 &deg;C Relative humidity: 0~95% (Non-condensing) Power Voltage: AC85-260v/50Hz MTBF:&ge;105 hours Power supplier:2.5 w(Input:DC5V 1000mA) About Shipping We hope goods arrive on time, but since this is an international delivery, shipping time will be highly depended on the deliver company and local customs/duties. Thank you for your kindly understanding. Product Show Click here for more details ! ! ! Factory Equipment Packaging & Shipping Welcome to send us inquiry! Kindly add my skype: live:yilia_20 Click here for more details ! ! ! 3. Quality Control: Every single product will be fully tested , make sure it's fully functional before it's being shipped out. 2. What will you do if I found the product has any quality problem9 Answer: We back up every sale with our risk-free money-back guarantee! 3. What did your company do in terms of quality control9 Answer: We have professional testing equipment and QC team. 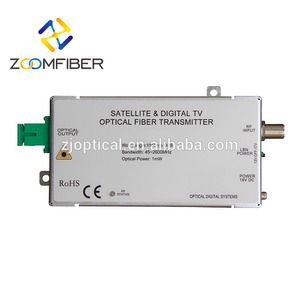 Alibaba.com offers 12,421 fiber optical transmitter products. About 59% of these are fiber optic equipment, 2% are other home audio & video equipment, and 2% are radio & tv broadcasting equipment. 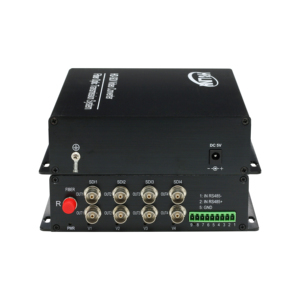 A wide variety of fiber optical transmitter options are available to you, such as free samples, paid samples. 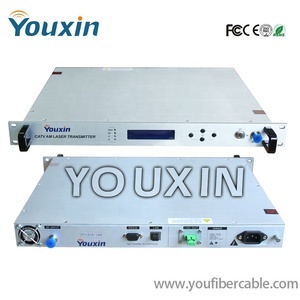 There are 12,520 fiber optical transmitter suppliers, mainly located in Asia. The top supplying countries are China (Mainland), Taiwan, and India, which supply 99%, 1%, and 1% of fiber optical transmitter respectively. Fiber optical transmitter products are most popular in North America, Eastern Europe, and Mid East. You can ensure product safety by selecting from certified suppliers, including 3,272 with ISO9001, 1,565 with Other, and 213 with ISO14001 certification.